This is a prestigious event within the personal assistant, executive assistant, virtual assistant and Office Manager arena. The PA Show is designed to help enhance careers, prospects and personal development through the opportunities available to its visitors. Previously named the Office Show, this year marks the first instalment as the PA Show, highlighting its focus on helping those within the industry flourish. Celebrated for the vast array of specialist suppliers, such as Ryman, present throughout the show, plus the high quality of training available throughout on both days, the PA Show is the largest UK event of its kind. For Ryman, it’s a thrilling opportunity and an honour to be involved in such an event. Simon Childs, Head of Ryman B2B and Education said, "We're extremely proud to be the headline sponsor for the PA Show this year. The role of a PA and Office Manager is integral to helping businesses thrive, that’s why we're passionate about being part of the show. We want to help showcase the talents and commitment of PAs and Office Managers from across the UK. It’s clearly a show worth supporting. With 185,000 personal assistants and secretaries employed and a further 178,000 working as office managers within the UK*, the PA Show targets an incredible number of talented individuals who keep businesses ticking and moving forwards. The backbone of an office, PAs, EAs and Office Managers support a wealth of other colleagues, be it a senior director, head of finance or new junior recruit within their company. So, whether you are new to your role, have taken a sideways step within your career or are an experienced professional, you’ll leave the PA Show with improved knowledge, skills, and contacts. With 125 years of experience, 208 stores and an online shop, Ryman is the UK’s leading stationer and supplier of office essentials. Said Duncan Siegle, the PA Show’s Event Director, "We are delighted to welcome Ryman Business as our headline sponsor. The brand has great synergy with the show and is also a brand that our visitors will want to engage with. 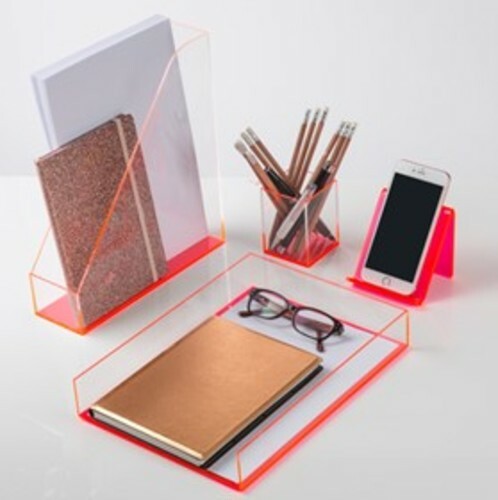 The role of the PA is so diverse and pressurised these days that a solution provider like Ryman Stationery is exactly what our visitors need for their daily roles. We expect over 5,000 professionals to attend the show in February and look forward to seeing how Ryman engage with them." The largest UK event dedicated entirely to the development and progression of personal assistants, executive assistants, virtual assistants and office managers, the PA Show also focuses on education. Curated by PA LIFE and taking inspiration from a huge range of exhibitors, it’s an opportunity for visitors to access CPD accredited masterclasses from leading experts in the industry. What’s more, the PA Show will take inspiration from some of the leading service providers, including innovative products that have been created with those working within the administration, support staff and secretarial industry, in mind. Visit the PA Show at Olympia London on Tuesday 26th and Wednesday 27th February 2019. The show and Keynote Theatre sessions are free and open to all visitors. CPD accredited masterclass sessions are available from £25 +VAT per session and are available to book online via https://www.thepashow.com/sessions2019. For further information, please visit https://www.thepashow.com/. Or for Ryman Business Accounts, please visit https://www.ryman.co.uk/accounts. Media information provided by Famous Publicity. For further information please contact Josh Balmer at josh@famouspublclcity.com or Tina Fotherby at tina@famouspublicity.com or call the office on 0333 344 2341. With 208 stores throughout England and Scotland and operating online, Ryman also has business accounts and special discounts for students. This press release was distributed by ResponseSource Press Release Wire on behalf of Ryman Stationery in the following categories: Children & Teenagers, Men's Interest, Entertainment & Arts, Leisure & Hobbies, Women's Interest & Beauty, Business & Finance, Media & Marketing, for more information visit https://pressreleasewire.responsesource.com/about.